Facebook boss Mark Zuckerberg apologised to European Union lawmakers on Tuesday for a massive data leak, in his latest attempt to draw a line under a scandal that has rocked the world's biggest social media network. In his opening remarks, Zuckerberg said it had "become clear over the last couple of years that we haven't done enough to prevent the tools we've built from being used for harm as well." "Whether it's fake news, foreign interference in elections or developers misusing people’s information, we didn’t take a broad enough view of our responsibilities. That was a mistake, and I’m sorry." Zuckerberg's appearance in Brussels comes three days before tough new EU rules on data protection take effect. Companies will be subject to fines of up to 4 percent of global turnover for breaching them. In the session, Manfred Weber, leader of the centre-right in the European Parliament and an ally of German Chancellor Angela Merkel, asked Zuckerberg why Facebook shouldn't be broken up as a monopoly. Zuckerberg declined to answer specific questions on the cross-use of data from Facebook, its WhatsApp messaging service which has more than one billion daily users, and the blocking of target ads. As he did with a series of questions from U.S. lawmakers last month, Zuckerberg said he would send follow-up answers later. 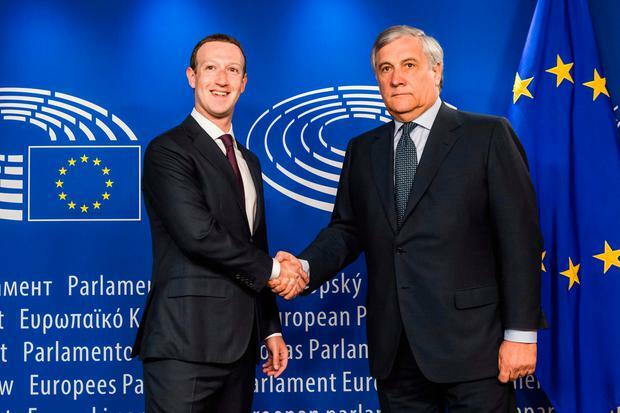 However, he said Facebook expected to be compliant with the EU rules, called the General Data Protection Regulation, when they come into force on May 25, stressing the company's commitment to Europe where it will employ 10,000 people by the end of the year. "I believe deeply in what we're doing. And when we address these challenges, I know we'll look back and view helping people connect and giving more people a voice as a positive force here in Europe and around the world," he said. Zuckerberg's appearance produced little new information about Facebook's operations. He repeated points he previously made to U.S. lawmakers about Facebook's plans to hire more staff and to try to develop artificial intelligence to catch hate speech and other banned material. He avoided giving details about how non-Facebook users could stop the company from collecting their data, changing the subject to the company's relationship with third-party apps. Last month, Facebook said it had no plans to build a tool to allow non-users to find out what the company knows about them, something that U.S. lawmakers had asked about. Zuckerberg said investments in security would significantly impact Facebook's profitability, but "keeping people safe will always be more important than maximising our profits". 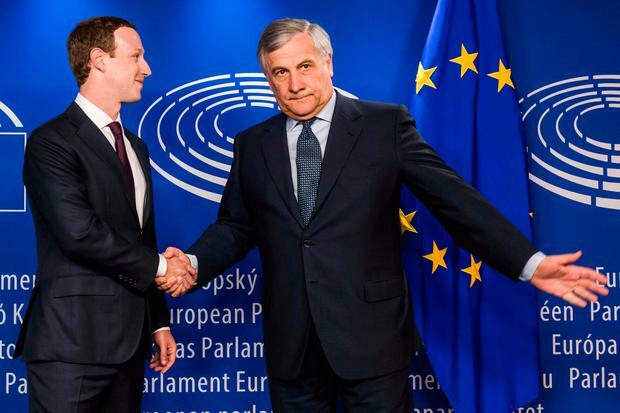 Facebook's compliance with the new EU data rules will be closely watched, as will its efforts to tackle the spread of fake news ahead of European Parliamentary elections next year. "Some sort of regulation is important and inevitable," Zuckerberg said, but he echoed calls in the United States that innovation should not be stifled. "The important thing is ...to make sure that we have regulatory frameworks that help protect people that are flexible so that they allow for innovation," he said. French sailors have paid tribute to the fire-ravaged Notre Dame Cathedral by lining up in the shape of it.